"Yes I will fight against CORRUPTION! Just watch me do it!" 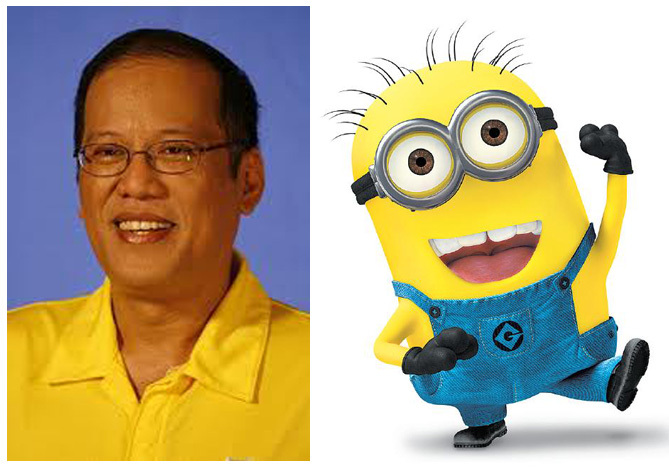 President Nobita during his campaign said, "Kung walang corrupt, walang mahirap." which in English means, "If there are no corrupt, there are no poor people." Many people were deceived by that tagline and I guess some Nobita voters just had to face this reality... all what President Nobita is doing is nothing more than his ego trips. In fact, he even admitted he's always wanted revenge for the death of his father Ninoy, in short... WHAT A BABY! What was his so-called fight against corruption? Nothing more than protecting his allies like Drilon and Abad while going against everything associated with GLORIA and MACOY. While I certainly believe that Gloria has to answer for her crimes like the fertilizer scam but... President Nobita is just a whiny brat who wants revenge. Come on, how long has it been since Ninoy was assassinated?! And it's now 2014 and all he does is blame Gloria? One may even consider the bogus of the Corona Impeachment Trial may have been staged with bribes. Or another, why is he even challenging the Supreme Court on the idea that DAP is completely UNCONSTITUTIONAL?! And I might add the "beloved" BIR konsumisyoner Kill Henares herself. Always raising taxes and killing the Philippines with her "tax here, tax there" policies. Simply to put, who put her in power in the first place but President Nobita? And the same goes for Jose A-Bad and all his allies involved with pork, DAP and PDAF. This whole war on corruption is NOTHING more than a reality TV show. Even the Corona Trial felt more like a reality TV show than it was a fight against corruption. It had all the drama of incompetence (the prosecutors). And I was even thinking, was Atty. Viraliano Aguirre just sent there to increase ratings? I mean, no lawyer in the right mind would cover his ears in court. I'm even thinking what if it was scripted from the incompetent prosecutors to Miriam's loudmouth berating of the prosecutors. Some say that Aguirre was planted to heckle Miriam... maybe for ratings?! I mean with his offense, he could have just been scolded the next day but no... the Senate choose to extend the ratings by focusing on Aguirre who is NOT the real matter of the impeachment trial! And another evidence of the war against corruption looks like a reality TV show is this. If they are serious with fighting against corruption, why give apartment-like detention cells for Senators involved with pork?! They should be LOCKED UP in Muntinlupa along with the other crooks. China, Singapore, Japan and other countries lock up their politicians in the same cells with other crooks... but NOT in third world countries. So the tagline is "GOVERNMENT CORRUPTION... MORE FUN IN THE PHILIPPINES!" Sad to say but a lot of people still follow President Nobita as the brainless minions of the yellow presidency. And yellow an also represent cowardice too... which President Nobita is! Nobita campaigns for the impossible. Corruption is never truly eradicated, only minimized as much as possible.